this fast-paced city has, naturally, welcomed fast food. 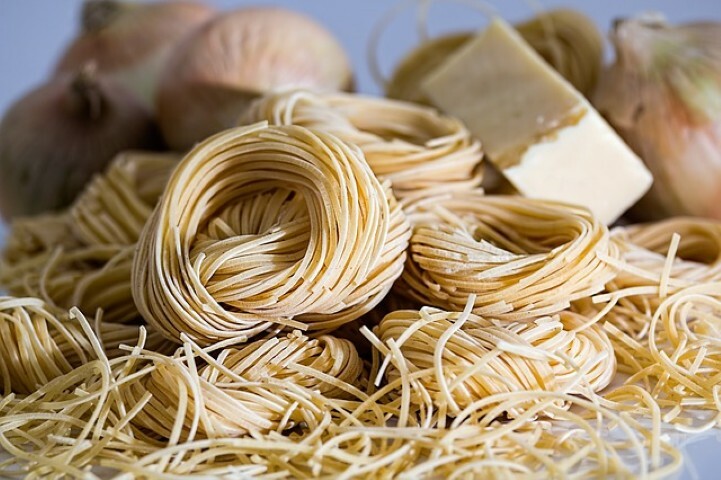 It was, in fact, the unmistakable whiff of eau de Macdonald’s on Rome’s venerable Spanish Steps that catalysed Italian journalist Carlo Petrini to found the famed anti-instant/industrial eats organization, Slow Food. Among the biggest and best outdoor markets are Piazza San Cosimato in Trastevere, surrounded by state-of-the-art indoor gourmet shops; Piazza Vittorio Emanuele near the seedy Stazione Termini rail station (it specializes in exotic ingredients AND pickpockets, so watch your wallets); and ultra-Roman Piazza Testaccio, located in a former slaughterhouse neighbourhood that is now home to numerous excellent eateries and to Volpetti, one of the finest alimentary shops in all Italy and a great place to shop for a picnic among the picturesque historic sites you’ll find on every corner in Rome. 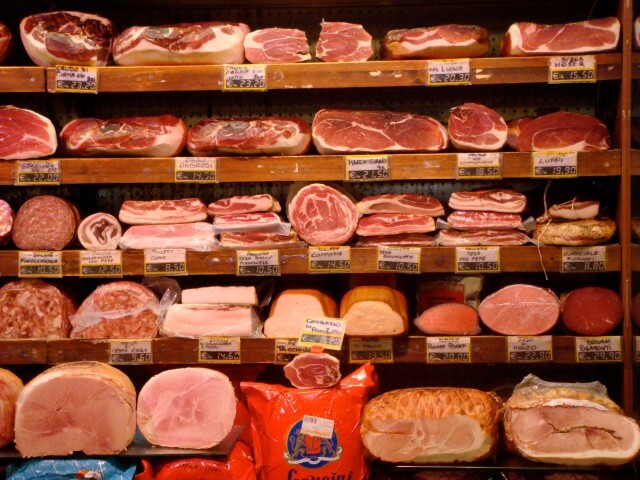 But primo for picturesqueness, without doubt, is the popular if pricey market in central Campo de’ Fiori. Here, after viewing tender young carciofi(artichokes) and asparagi (asparagus) in spring, or fall’s many wild mushrooms or spicey rucola selvatica(wild rocket) in farmers’ stalls, one can enjoy the same in a salad or pasta at La Carbonara, one of the square’s few truly tasty non-tourist-trap restaurants. 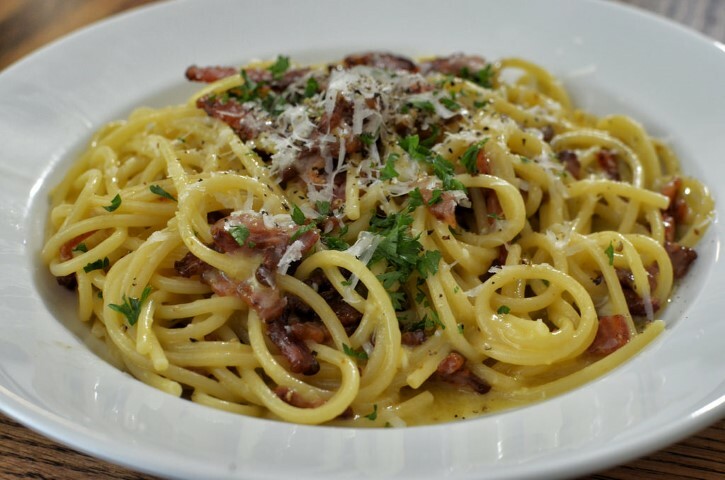 Carbonara’s speciality is naturally its namesake peppery bacon’n’egg spaghetti. Rome’s most state-of-the-art spaghetti alla carbonara, though, is tobe found at atmospheric Checchino dal 1887, a 19th-Century tavern originally built for slaughterhouse workers, where the tabletops are still marble and the carbonara’s ‘bacon’ is still authenticguanciale (truly succulent cured pig’s cheek; trust us here). Those with tamer, less trusting tastes can feast onabbacio alla cacciatore (fork-tender lamb in a white wine/rosemary sauce), while the brave will adore rich oxtail stew with pine nuts and raisins, or pasta pajata, a Roman speciality whose sauce features the still-milk-filled intestines of a young calf. Those who daren’t even think about the above can enjoy Checchino’s excellent and extensive cheese and wine lists, plus delectable homemade desserts. In the once-rundown, now-chic neighbourhood of Trastevere, the Restaurant of the Moment is wine barFerrara, with Milan fashion show ambience and excellent internationally influenced eclectic eats that range from Roman organ meats (a speciality of the area) to eastern Mediterranean curries. 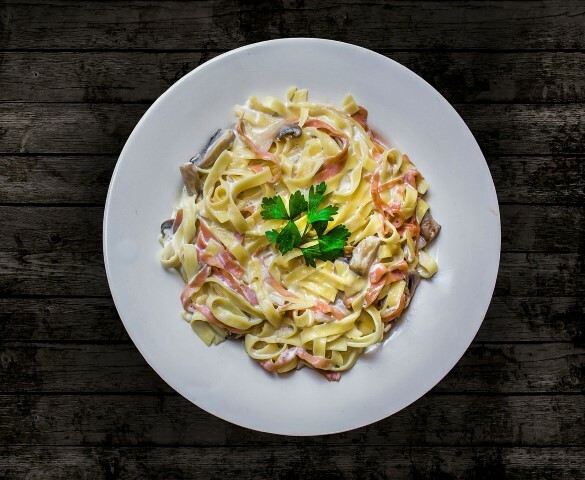 For less trendy travellers, homey Spirito DiVino’s lemon-spiked spaghetti with tuna and dill will satisfy — as will the staff’s personal tour of the 2000-year-old Roman walls in the restaurant’s wine cellar. Who needs the Colosseum? A unique eating experience is the city’s Roman-Jewish cuisine, characterized by deep-fried delicacies like classic carciofi alla giudea (artichokes flattened to look like pressed flowers), fior di zucca ripieni(courgette flowers stuffed with mozzarella and anchovies), and baccala (creamy dried cod) fritters. To get these at their best, try Al Pompiere, a huge space with frescoed ceilings on the second floor of a 17th-Century palazzo, or charmingly rustic Da Giggetto al Portico d’Ottavia, where the fried specialities are supplemented by sophisticated continental desserts like Sachertorte from La Dolceroma, the next-door bakery run by the son of Giggetto’s owner. 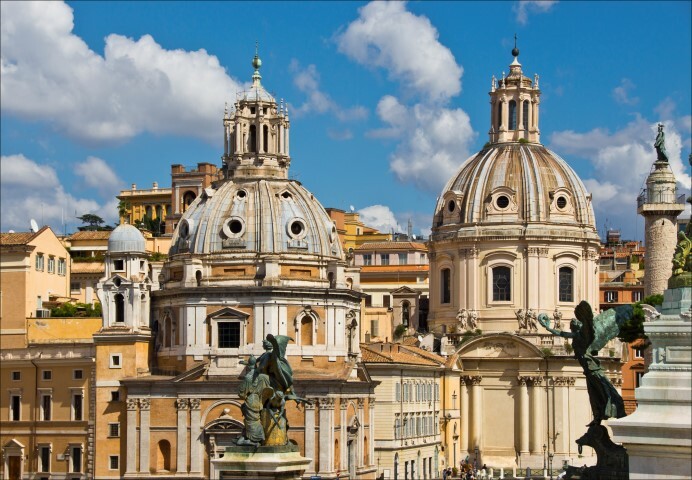 Both are located in Rome’s ancient Ghetto area. 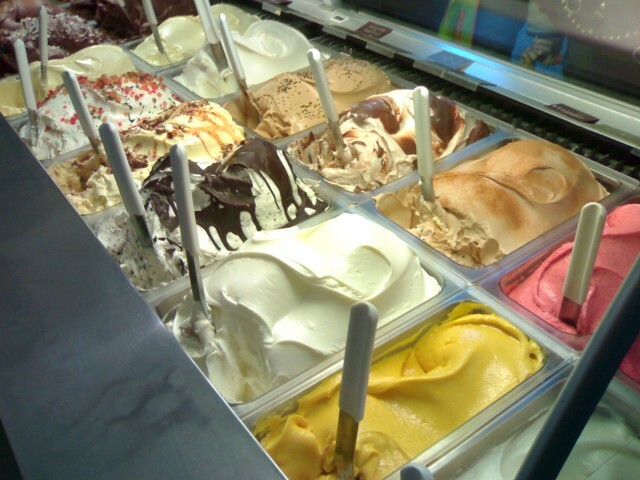 But Rome’s MOST must-not-miss eating experience is, ironically, fast food: gelato. Few would argue that Rome’s interpretation of Italian ice cream is Italy’s overall best; but whichgelato joint is the city’s best is a hotly-contested category. Contenders include I Tri Scalini, whose famoustartufo (bittersweet chocolate-encased chocolate gelato and cherries, smothered in whipped cream) is forerunner of all ‘Death by Chocolate’ desserts; Art Nouveau gelateria Giolitti near the Pantheon, open from early morning with 15 varieties of breakfast gelati and almost 60 varieties later in the day; della Palma, right around the corner for easy comparison scoffing; Trastevere’s La Fontana della Salute, where the gelato is at least equal in quality and far superior in quantity to the above city-centre servings; and San Crispino, famous for first-rate raw materials like corbezzolo (wild Sardinian strawberry tree honey). To responsibly judge which is Rome’s best, you’ll simply have to try them all. 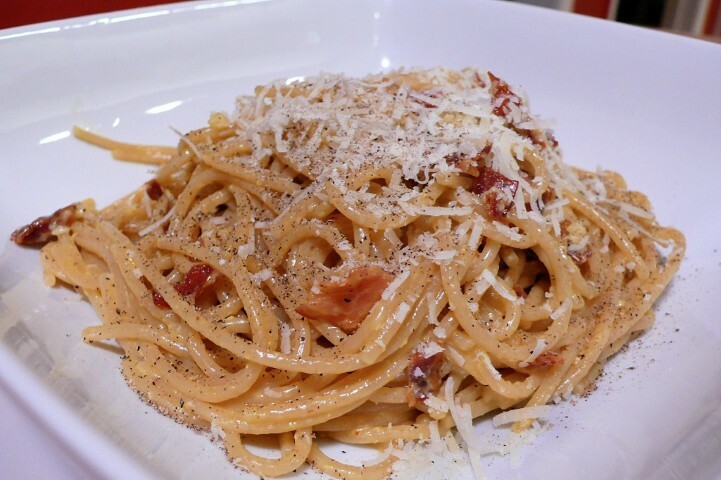 La Carbonara: Campo de’ Fiori, 00-39-06-686-4783. Checchino dal 1887: Via di Monte Testaccio 30, 00-39-06-574-6318. Ferrara: Via del Moro, 1A, 0039-580-3769. Al Pompiere: Via S. Maria del Calderari 38, 00-39-06-686-8377. Da Giggetto: Via del Portico d’Ottavia 21/a, 00-39-06-686-1105. Piperno: Via Monte de’ Cenci 9, 00-39-06-654-2772. I Tri Scalini: Piazza Navona 28/32. Giolitti: Via Uffici dei Vicario 40. Della Palma: Via della Maddalena 20. La Fontana della Salute: Via Cardinal Marmaggi 2-6. San Crispino: Via della Panatteria 42.